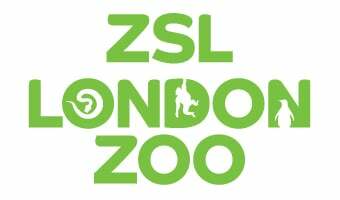 See animals in a different light at Rainforest Life, ZSL London Zoo’s exciting indoor exhibit - including an amazing noctural experience. Enter London’s only living rainforest where you can come face to face with a variety of amazing rainforest species including monkeys, sloth, bats and tamandua. Then step out of the light and into the ‘Night Life’ area, where you’ll discover the bats, rats and nocturnal wonders who make the dark their home. With an adoption pack, you can help to care for our sloths at ZSL London Zoo, and support our conservation work to protect sloths in the wild. Find the perfect gift for sloth lovers in our online shop. An expert zoo keeper will guide you onto the rainforest floor to hand-feed the monkeys and see what other species you can spot including sloths, tortoises and bats! This 20 minute VIP experience begins with a health and safety briefing from our friendly zoo keeper who will then take you inside the Rainforest Life exhibit to the rainforest floor. You will then help our zoo keeper hand feed the monkeys whilst learning more about all the different species that call our living rainforest home, including tamarin and red titi monkeys, sloths, bats and tamandua. There will be a maximum of four people taking part in the experience, giving you lots of time with the monkeys and zoo keeper. Meet the Monkeys in the Rainforest is available for adults and children over the age of 6 years old; however children under the age of 16 must be accompanied by a participating adult who also has a valid Meet the Monkeys experience ticket. The experience takes place on the rainforest floor which has uneven surfaces so unfortunately this experience is not wheelchair accessible and guests must have good mobility. Guests with carers can get a carer ticket which lets carers enter the meerkat enclosure free of charge, but carers will not participate in the experience. To get a carer ticket please call 0344 225 1826. You will be hand-feeding the monkeys a variety of food which may include nuts. Because of this the experience is not suitable for guests with nut allergies. We also offer Meet the Monkeys in the Rainforest as a gift voucher. Please visit our online shop here to book as a gift for someone.